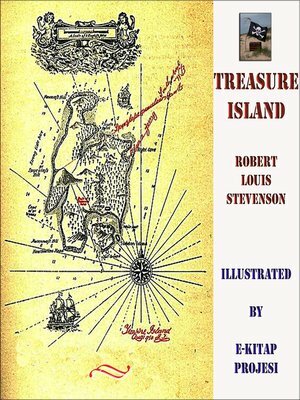 Treasure Island is an adventure novel by Scottish author Robert Louis Stevenson, narrating a tale of "buccaneers and buried gold". First published as a book on 23 May 1883, it was originally serialized in the children's magazine Young Folks between 1881 and 1882 under the title Treasure Island or, the mutiny of the Hispaniola with Stevenson adopting the pseudonym Captain George North.Traditionally considered a coming-of-age story, Treasure Island is a tale known for its atmosphere, characters and action, and also as a wry commentary on the ambiguity of morality — as seen in Long John Silver — unusual for children's literature now and then. It is one of the most frequently dramatized of all novels. The influence of Treasure Island on popular perceptions of pirates is enormous, including treasure maps marked with an "X", schooners, the Black Spot, tropical islands, and one-legged seamen carrying parrots on their shoulders.Short Summary of the Book:The novel is divided into six parts and 34 chapters: The novel opens in the seaside village of Black Hill Cove in south-west England (to Stevenson, in his letters and in the related fictional play Admiral Guinea, near Barnstaple, Devon) in the mid-18th century. The narrator, James "Jim" Hawkins, is the young son of the owners of the Admiral Benbow Inn. An old drunken seaman named Billy Bones becomes a long-term lodger at the inn, only paying for about the first week of his stay. Jim quickly realizes that Bones is in hiding, and that he particularly dreads meeting an unidentified seafaring man with one leg. Some months later, Bones is visited by a mysterious sailor named Black Dog. Their meeting turns violent, Black Dog flees and Bones suffers a stroke. While Jim cares for him, Bones confesses that he was once the mate of a notorious late pirate, Captain Flint, and that his old crewmates want Bones' sea chest. Some time later, another of Bones' crew mates, a blind man named Pew, appears at the inn and forces Jim to lead him to Bones. Pew gives Bones a paper. After Pew leaves, Bones opens the paper to discover it is marked with the Black Spot, a pirate summons, with the warning that he has until ten o'clock to meet their demands. Bones drops dead of apoplexy (in this context, a stroke) on the spot. Jim and his mother open Bones' sea chest to collect the amount due to them for Bones' room and board, but before they can count out the money that they are owed, they hear pirates approaching the inn and are forced to flee and hide, Jim taking with him a mysterious oilskin packet from the chest. The pirates, led by Pew, find the sea chest and the money, but are frustrated that there is no sign of "Flint's fist". Customs men approach and the pirates escape to their vessel (all except for Pew, who is accidentally run down and killed by the agents' horses).